To understand the value of paintless dent removal method, first I would like to talk about conventional bodywork and paint and how its done. How traditional body repair and paint is done? Traditional body repair method is all about grinding, sanding, filling then painting damaged panel. First, they have to sand the damaged area to bare metal, so they can start using spot welding to pull the dents out and level the surface. 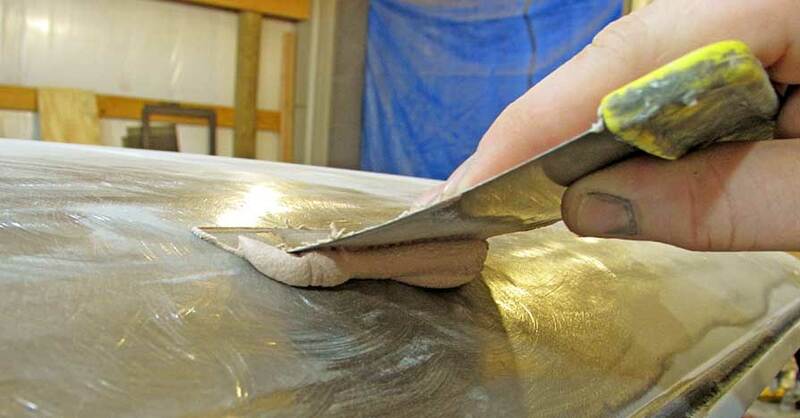 Once they achieve even surface they apply a body filler to fill the dented area, and then more sanding and leveling with the rest of the damaged area. 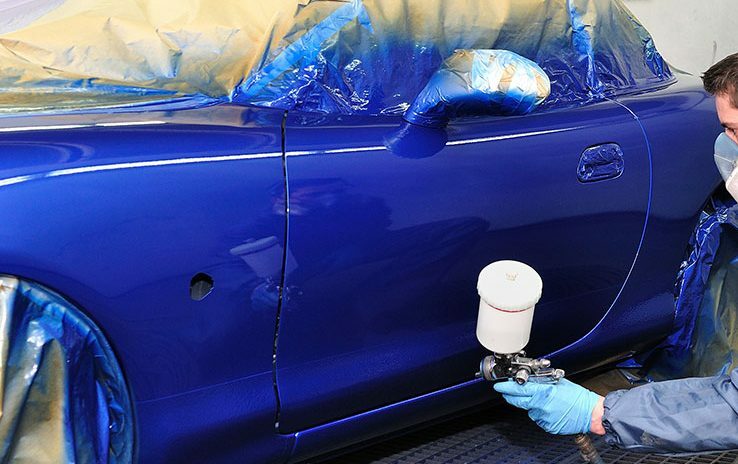 After they get an even and smooth surface, they spray a primer (a special coating to create a bond between body filler and a paint and to cover imperfections called "pinholes"). Then 2 layers of paint goes over the primer which topped with 2 or 3 layers of clear coat. Traditional bodywork is a very time-consuming and costly process that often takes 3 days to a few weeks to have your car back on the road. The cost of materials makes any body repair and paint very expensive. Especially with newer paints that are getting more difficult to match and body shops are required to blend other panels for a proper color transition. Paintless dent removal doesn't require any of these steps to repair the dents. It can be done if the paint is still intact on your car. With paintless dent removal, your car doesn't need to get re-painted. Special skills and tools allow us to gain access behind a dented panel. Once we gain access, we begin to massage the dents out without damaging the paint on your vehicle. If Paintless dent removal is done by a professional technician your existent paint job, whether it is original or custom will not get damaged or cracked. When your car gets dented body repair shops often replace the damaged panels. Most body repair shops use aftermarket parts. 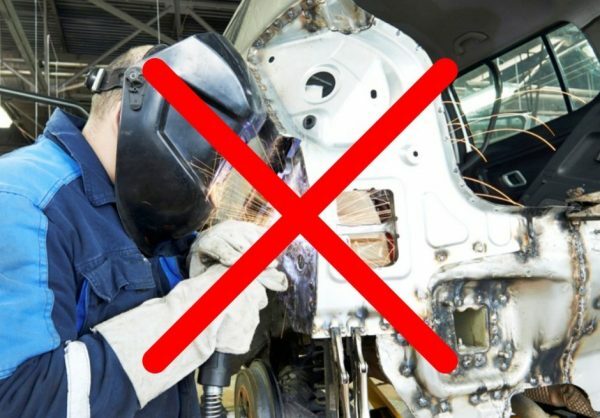 As you may have heard aftermarket parts are low-quality parts. Using low-quality aftermarket parts may affect the drivability and aesthetic look of your car. Because of poor quality, they usually don't line up well and cause some other problems. Aftermarket parts are made of thin and cheap recycled steel. With paintless dent repair, we can save original parts on your vehicle and restore its pre-accident look and shape without the need to replace it. Traditional bodywork and paint is a multi-step process that requires more time​. ​You can't skip any of these steps. Otherwise, you will get inferior results that will not last a very long time. Sanding, filling, again sanding to achieve a nice smooth surface may take days to complete. Once these steps are done then priming is the next important step. After priming, you are required to sand again to have a surface ready for paint. Paint is also a very time-consuming process. The latest paints require a multi-step application. 2 - 5 coats of paint have to be applied to achieve a nice color blend, then 3 coats of a clear. Just imagine now how long should all these steps take. Two days? Three days? It may even take weeks to get your car back on the road. With a paintless dent repair method we can get your car back on the road the same day. Most of our repairs take 2 - 3 hours. A door ding size of a quarter or smaller on a flat surface may take about 30 minutes only. 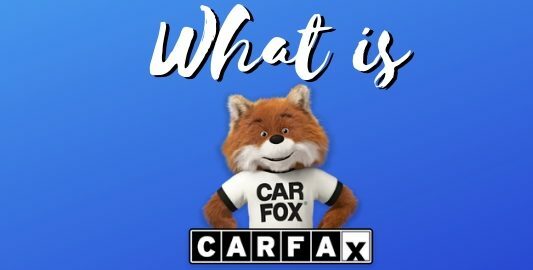 For us to understand this benefit fully, we have to understand what is Carfax and what it does to our vehicles when we get into a small fender bender. 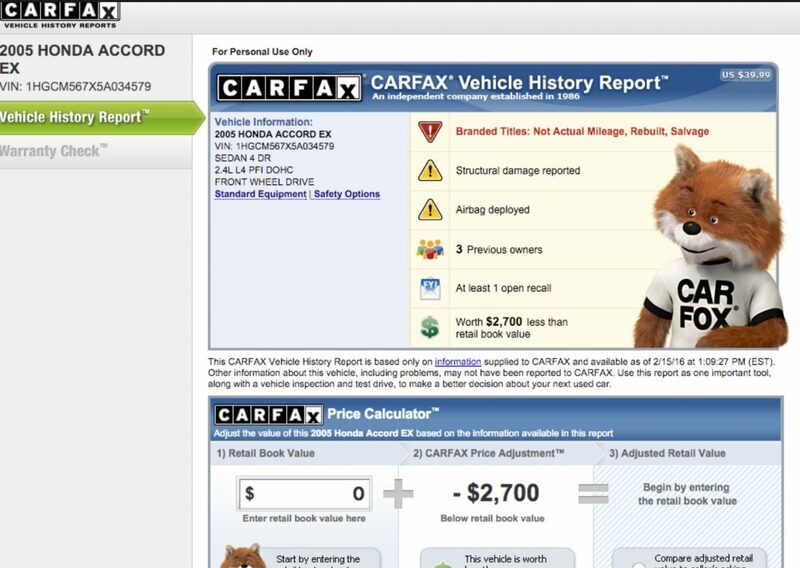 Carfax history report is powered by vehicle specific data that is tied to a VIN number of each car. It stores information at the Carfax database about your vehicle's age, mileage, service records, accidents, recalls information, and a number of owners. This specific data also helps car purchasers to know if a car was used as a fleet, taxi or a rental car. Based on all this information a Carfax can give you a clear picture of what your vehicle's worth and its history report. Vehicle's history is an essential factor in determining its value. Every history report helps us to find out how much the car is worth. As you can see from the Carfax report, this Honda Accord lost its value due to an accident which resulted in a salvage branded title. It is now $2700 below book value. That's because this accident became a part of the Carfax history report and is available to anyone who wants to purchase your car. Such reports can work against you even if a professional shop fully repaired your car. Any accident report even if it was a minor fender bender will result in the Carfax report and later in diminished value. Simply put, your car is worth less than a similar model that has not been in a wreck. 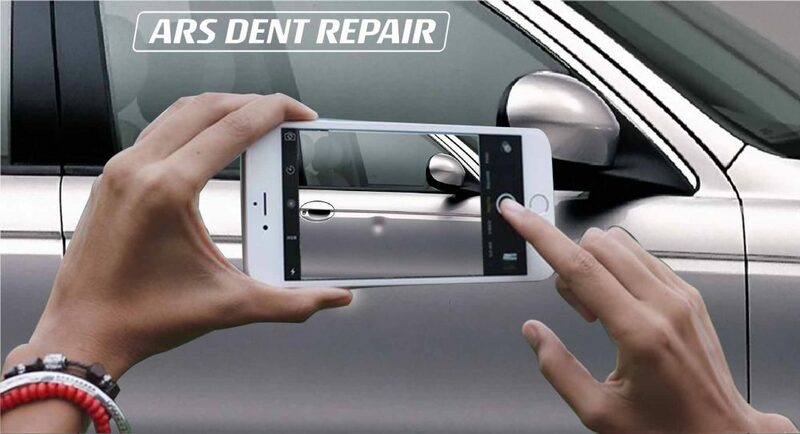 Ars Dent Repair can repair your dents without the need to report to a carfax. Ars Dent Repair of Baltimore doesn't hide damages with body fillers and paint, but instead, restores it to the original pre-accident condition. As we already know traditional bodywork involves a multi-step process of repairing auto body, preparation then paint and blending. This multi-step process makes it very costly and time-consuming. Paints are getting more expensive because of strict government regulations on safety and handling. For example, two quarts of paint can cost up to $500 ( just enough to paint half of the car ). Paintless dent repair doesn't involve any paint or bodywork. That allows us to save the original finish and parts and also will allow us to reduce the cost of the repair by half and sometimes by 75% of the total cost of the traditional body shop. 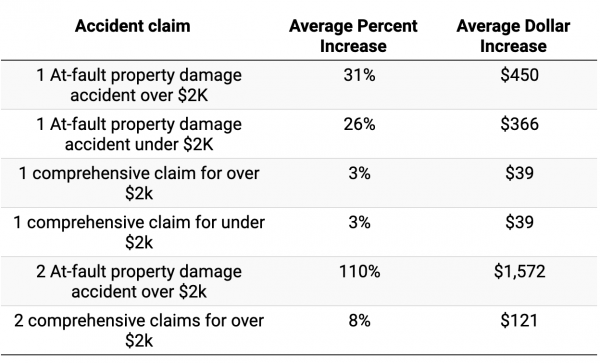 What happens when you file a claim with your auto insurance company? First, they record the accident and assess the damage. As soon as your insurance company gets that part done you already have an accident history report. And that causes your premium to go up, even if the accident is not at your fault. According to carinsurance.com, your insurance can go up to 31% for the first reported accident. And up to 110% for the second reported accident. So, if you have minor damage to your car and that damage will not exceed $500 in repairs then don't report to your auto insurance company. 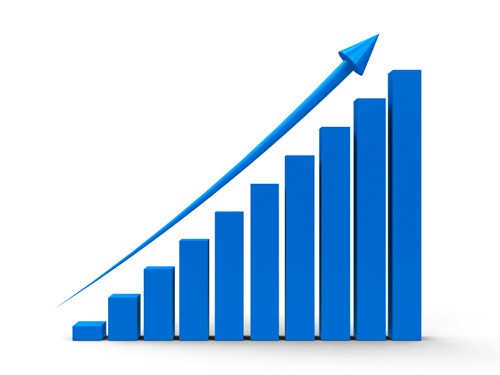 Avoid all hassle and headache that will come after the report. It will cost you a lot less in the long run if you pay out of your pocket. Besides that all insurance companies have deductibles. The deductible amount can range anywhere from $200 to $500 depending on your insurance coverage and company. Least invasive option to repair minor dents and dings. Paintless dent removal is known as the least invasive method of repairing minor auto body damages, including creases, body line dents, and hail damage. 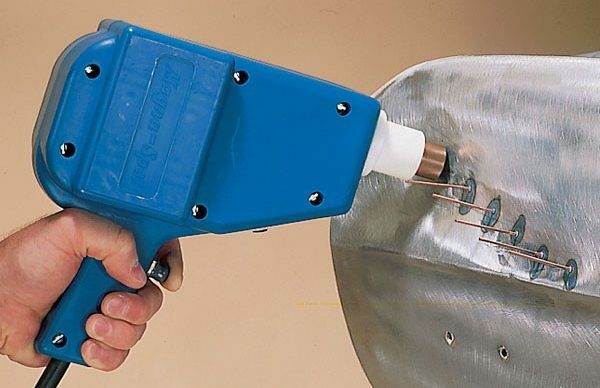 The PDR method does not involve any grinding, sanding, filling, or painting. We use special PDR tools to gain access from behind the dent and slowly massage dents out until we get the panel back to pre-accident condition. It is the only way of repairing small damages without re-paint or sanding and grinding. As you may have heard paints and other chemicals that are used in the automotive industry are very toxic. These chemicals are hazardous and cause birth defects, lung cancer, brain damage, and also pollute our environment if mishandled. 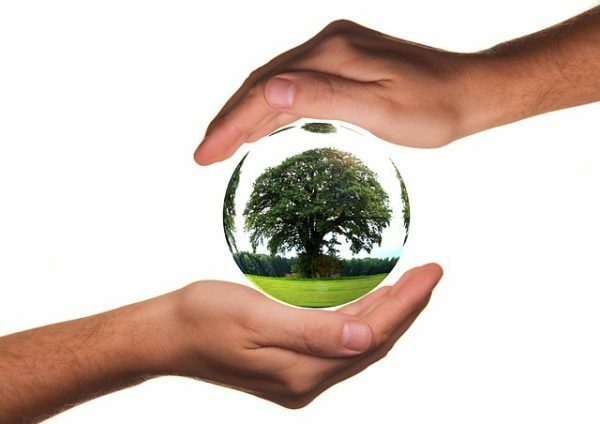 Paintless dent repair is known to be the cleanest, the only environment-friendly method of removing dents. This method doesn't use any chemicals or paints and is safest way of removing dents. Paintless dent repair without a doubt is the best option for repairing small and minor damages as long as your vehicle's paint is intact. PDR can save you money, headache and time, avoid your insurance premium raise and save your vehicle from the Carfax history report. But for anything significant where the paint is peeling off, or cracking and needs re-paint or there is damage to the frame, and it needs to be straightened the traditional body shop is the only way to go. 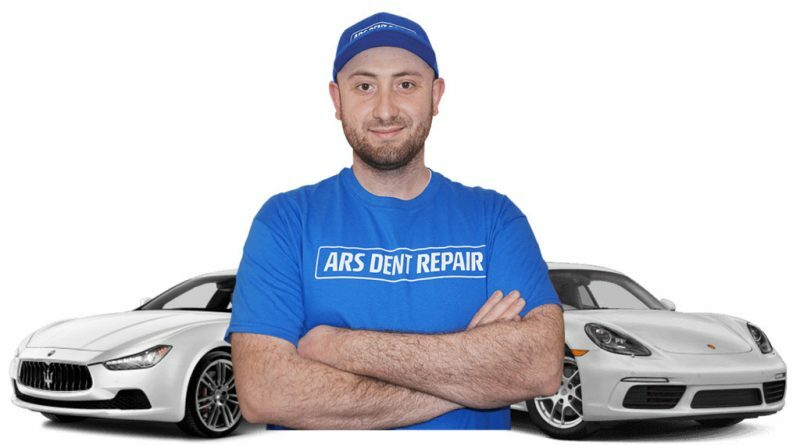 He is the owner and technician of Ars Dent Repair. He has over ten years of experience working on cars performing paintless dent repair, conventional bodywork, paint, and mechanical work. Arslan is a perfectionist and takes tremendous pride at what he does. I am focused on high-quality repairs.